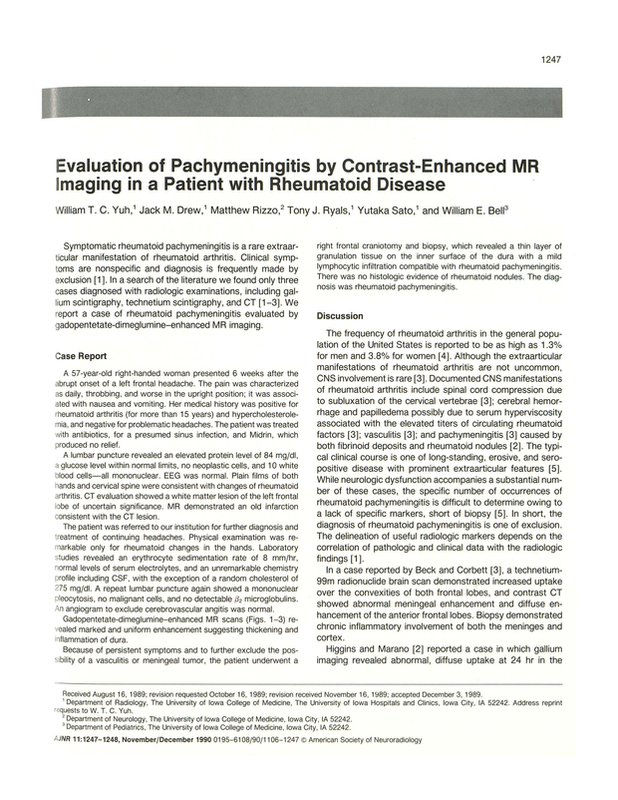 Evaluation of pachymeningitis by contrast-enhanced MR imaging in a patient with rheumatoid disease. Department of Radiology, University of Iowa College of Medicine, University of Iowa Hospital and Clinic, Iowa City. You are going to email the following Evaluation of pachymeningitis by contrast-enhanced MR imaging in a patient with rheumatoid disease.